65 Monroe Condos are a great addition to our downtown condo scene. These are awesome loft style condos with exposed brick, soaring ceilings, incredible bamboo floors… if you’ve never seen a Tiger Strand Bamboo floor, it is truly a stunning look. Very different, it makes regular bamboo look downright plain! 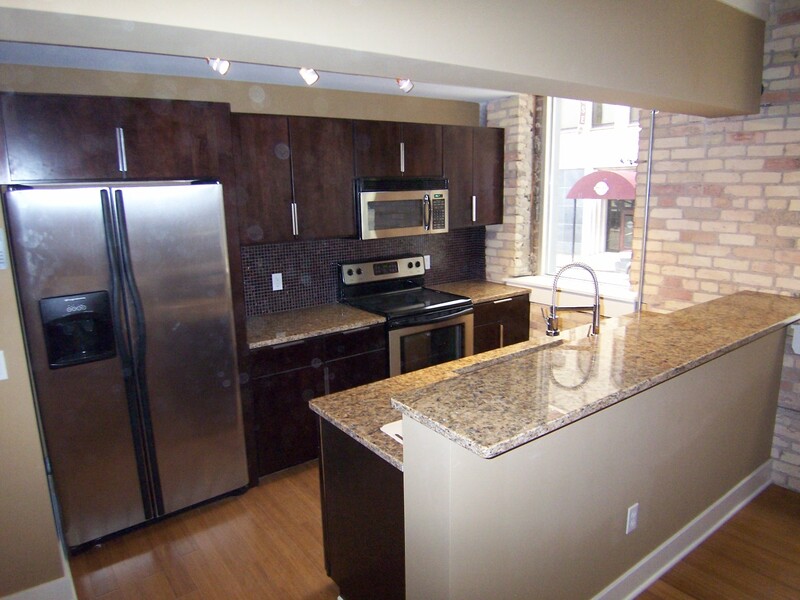 Other features that these condos offer include exposed brick, granite counter tops in the kitchen and bathrooms, ceramic tile or slate floors, dramatic winding staircase and unique fixtures throughout. These should definitely be on your list of must see condos, without a doubt! The lucky owners also benefit from the Tax Free Renaissance Zone. These condos are in an extended tax free zone where city and state income taxes and property taxes are waived until 2017. That could mean a very nice savings. I’ll expand on this in another post. 65 Monroe Condos are located at the corner of Monroe Center and Ionia very close to much higher priced condos. 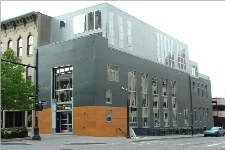 A short walk to Rosa Park Circle, the new Grand Rapids Art Museum and right next door to a grocery store. The sidewalks on Monroe Center are heated in the winter and across the street from the condos, you will find the Little Bohemia, a trendy clothing boutique and Xo Asian Cuisine, the best Chinese restaurant in town. Parking can be found a few steps away from your condo and rates are approx $140/mo. Here is a parking rate sheet for all of the downtown ramps. 65 Monroe Condos currently have 2 units available for sale. A 1300sq/ft 1 bedroom unit which is very close to completion and an 1100 sq/ft unit. If you would like to take a tour of these, let me know. Click Here to preview the available 65 Monroe Condos. If you have any questions or would like to take a tour, let me know.